How is Pricing Determined Anyway? We all know and agree that coffee prices are too low and this is certainly the case in Ethiopia where the average farmer (owning an average of 0.1 ha, or 200 trees) earns USD $260 per year from coffee. Even in Yirgacheffe, where coffee prices are about three times higher, the income is too little to properly support a family’s needs on. Yet we also notice that prices for Ethiopian coffee are increasing year-to-year and not just for the top qualities. So what are these increases based on? In the case of Q1 coffees, the price increases (in my opinion) are fair. When we compare the price we’re paying for Kochere gr. 1, taking into account its cup quality in comparison to what we’re paying for for top qualities elsewhere, the price is similar. But we’re not just seeing increased prices for Q1s, we’re seeing exponentially increasing prices for the lower qualities too. Last week Yirgacheffe AQ1 was sold at ETB 2000 per 70KG of parchment while A3 fetched 1950 ETB. What is this A3 pricing based on? Much of it is not traceable and what is claimed to be traceable is often questionably so (even at top quality levels). 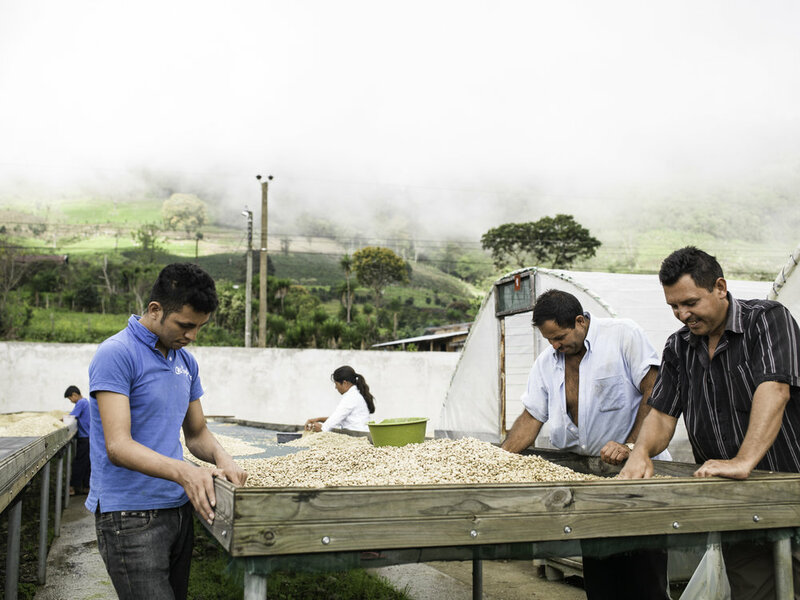 In contrast, in Central and South America, farm-direct relationships are the norm for specialty coffee. There is very little investment in evidence-based agricultural practice. Say what you want about the FNC; their investments in research and continuous developments in best agricultural practices are indisputable. Processing and quality control is mostly at a lower standard. 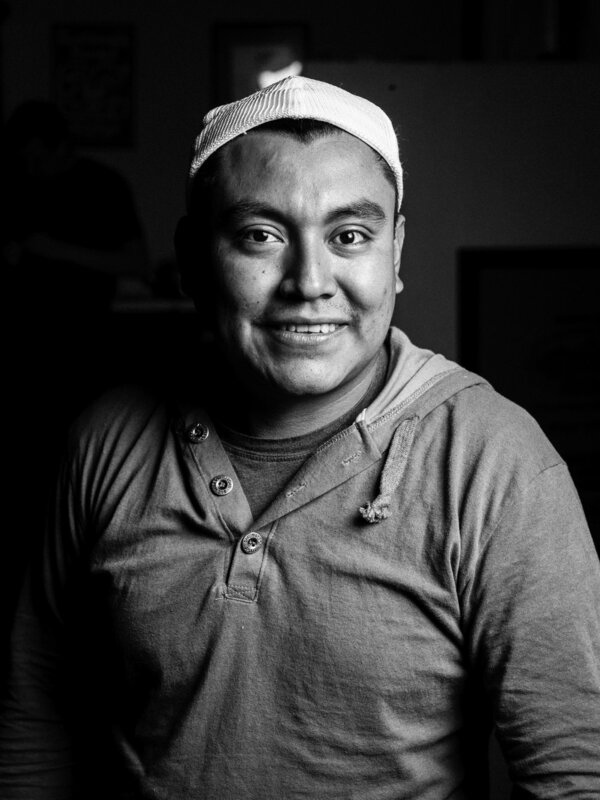 Last week I talked about the importance of intercultural understanding in coffee buying. Within the course of the past week, I had the chance to meet with professionals from other industries here: a tourism operator, grocery store owner, embassy representative, an architect, and a woman who runs a workshop and sells the textiles it produces. Some of these women are Ethiopian and others come from abroad. The common concern everyone expressed is that business in Ethiopia is becoming harder and harder. In the past 3-5 years, conditions have noticeably deteriorated. In the case of the grocery store owner, she is dealing with customs that doesn’t understand the products (e.g. camembert cheese which they think is spoiled, rather than knowing that its smell is supposed to be the way it is) she’s importing and whose ‘solution’ is to burn the food it refuses to clear. Burning food: in a country where people are without food! For next week’s newsletter, I’m working on finding out what has become of ECX’s geo-tagging system, which it implemented at the beginning of the season. Our partners report that coffee has arrived late to the wet mills due to late rains or in some areas, no rain at all. The current lack of rain is expected to be one of the worst droughts in Ethiopia. Some believe it will be even worse than the one that affected the country back in the 1980s. With the rains coming late, cherry maturity has been delayed, meaning that in most areas picking began just three weeks ago. Coffee cherry quality seems to be good overall so far. 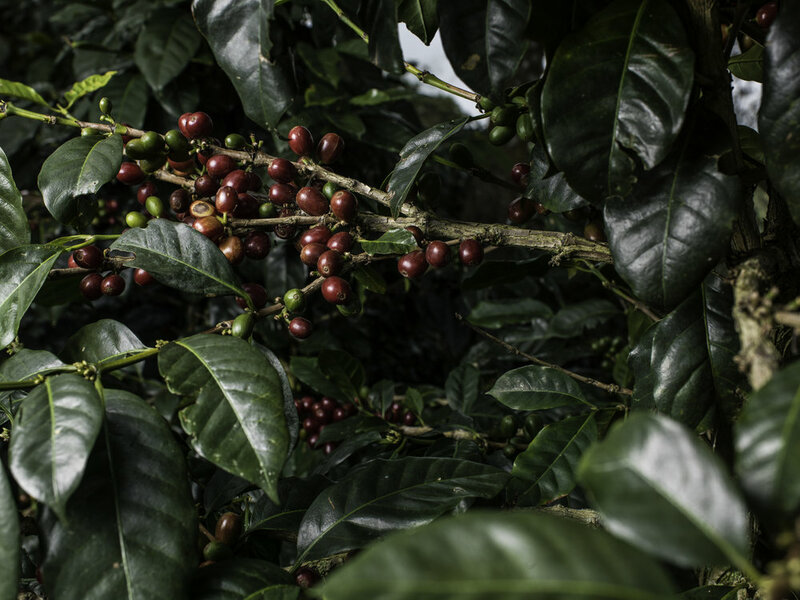 The prices being offered for coffee cherries in most of Ethiopia have started at an average level but has slowly been climbing in most areas, especially in the Yirgachefe region, which has been the case for the last several years. Coffee has arrived to the auction with high prices that have managed to sell. We are not sure if the market can pay the fair price given the Cost of Coffee here Locally. But the usual Exporters that use the FX to Import, as the ones pulling the market lower. Electronic tagging (geotagging) is supposed to be rolling out this season so that every bag sold through the auction will come with a barcode that will provide traceability up to the washing station it came from. have been able to provide traceability to the international buyers, severely inhibiting transparency for many buyers of Ethiopian coffee. Coffee, as a commodity, has officially left the jurisdiction of the Ministry of Trade and is now headed by a new Coffee & Tea Authority under the umbrella of the Ministry of Agriculture. This means that coffee will have ONE authority which is significant, as over the last 8 years several conflicting institutions oversaw the coffee sector, which created many delays in the process of exporting and more. Let's hope that this more unified/simplified body will lead to easier export processes! The ECX is also planning an online purchasing system. Aside from the inevitable delays from implementing such a system, this is a very positive change for exporters. Previously, it was very difficult to stop private agreements between sellers and exporters. Now, hopefully, the best quality will be equally available to all buyers. While all of these changes are positive they will certainly present their own challenges and frustrations. Luckily the general trend is moving in positive directions. Even if the above is implemented in fits and starts. Washed Yirgacheffe Kochere is a coffee from GEDEO, but from a smaller geographical area, called Kochere. Kochere coffee is more acidic, with a bright acidity as the altitude is higher, and the most common variety there is Kurume, hence the coffee beans are smaller. Altitude is 1800-2100 metres as Kochere extends through a mountain.This coffee is exported a “Yirgacheffe” in accordance with the Ethiopian Commodities Exchange (ECX) classification system. Under this system, all the coffee produced within the large Yirgacheffe area is called “Yirgacheffe Coffee”. 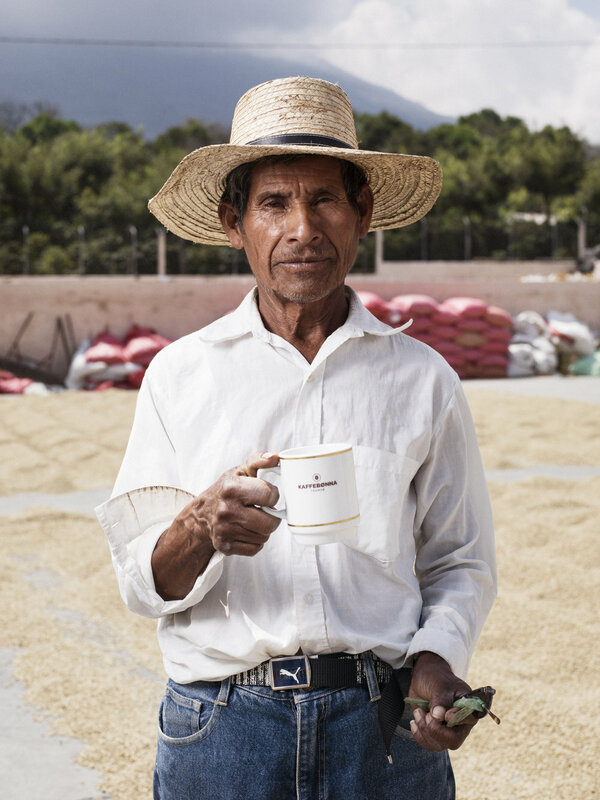 As coffee is pulped, the sugars remain on the bean and these sugars are then fermented in water in fermentation tanks for a period spanning 48-76 hours, depending on the heat and altitude from where the coffee is delivered. 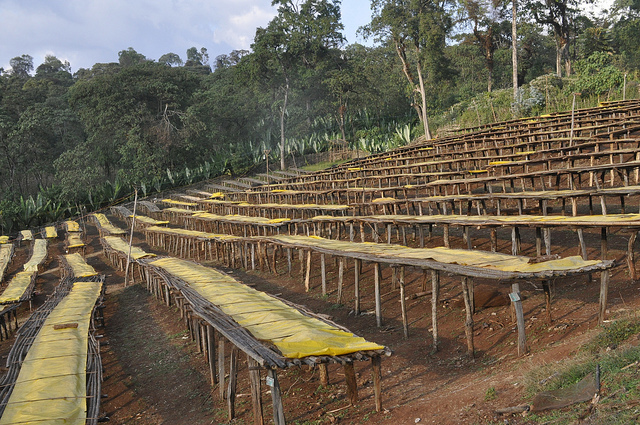 Once sugars are completely eliminated through the fermentation process the coffee moves under the sun for drying in parchment.The acidity of washed Ethiopian coffees is much more pronounced due to the fact that the sugars have been removed from the coffee. In contrast to the natural process, where sweetness is key, one can more clearly perceive the acidity in these washed coffees. Yanni Georgalis established Moplaco in 1972 and was a third generation coffee exporter. Yanni was highly respected not only within Ethiopia but was well known and beloved by buyers of Ethiopian coffee around the world. 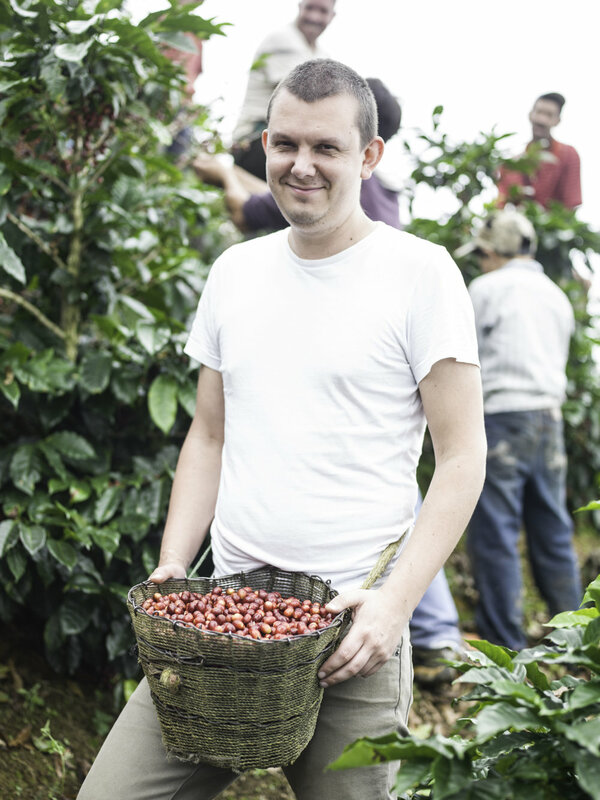 He rightfully maintained a reputation for not only selling the highest quality coffee, but also for his integrity in all aspects of the business. 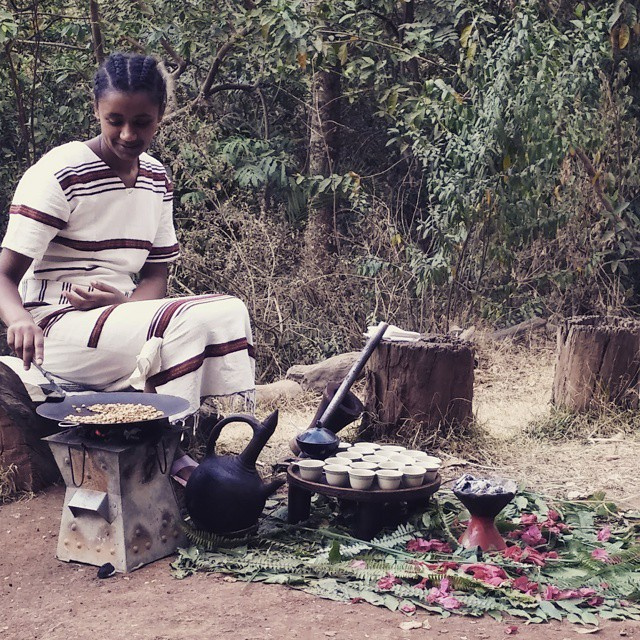 Heleanna, Yianni’s daughter, then comes from a long and established lineage of highly respected Ethiopian coffee exporters. While constantly speaking of relationships in the green coffee trade these days, it is tempting to make an analogy about this relationship. It is like one of those difficult ones. Even if it is far from easy, sometimes plainly painful, you just want it to work, because it just has to. Will love and loyalty one day pay off? 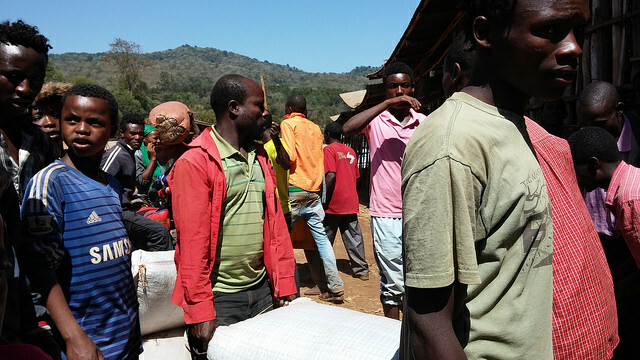 Getting beautiful coffees from Ethiopia has been made challenging, yet you can’t help wanting to get it. She is the mother of all coffees after all. This time we even went to the origin of the origin. 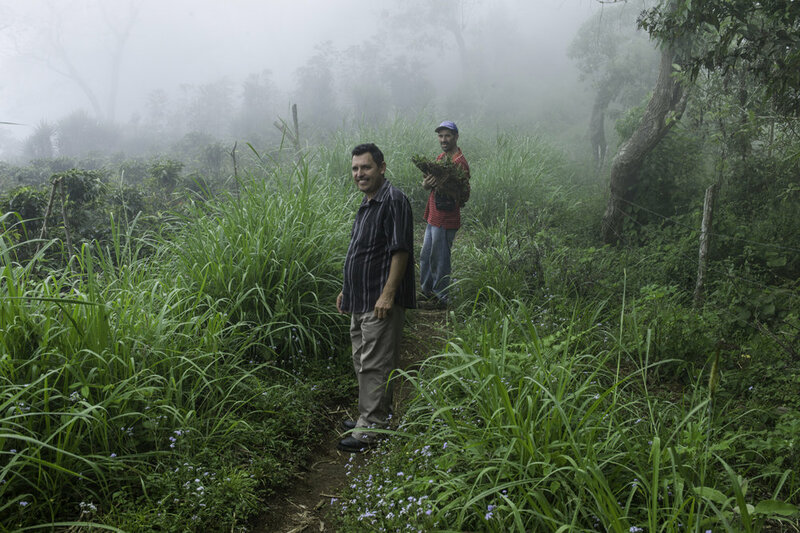 We’ve been to Kaffa now; we visited the region, the forests and farms around the town of Bonga, and beyond: the Cradle. We went in good time. In some places they were only a few days into the harvest. Other places they were about to start a few days later. Thus we had time to sit down with the people, and they had time to sit down with us. We wanted to speak to the management at the cooperatives we have been buying from, and we wanted to get to know new places and new people. The farmer himself is rarely in the picture; that is how it is in Ethiopia. It is all about the coop. Well, actually it’s all about the union. 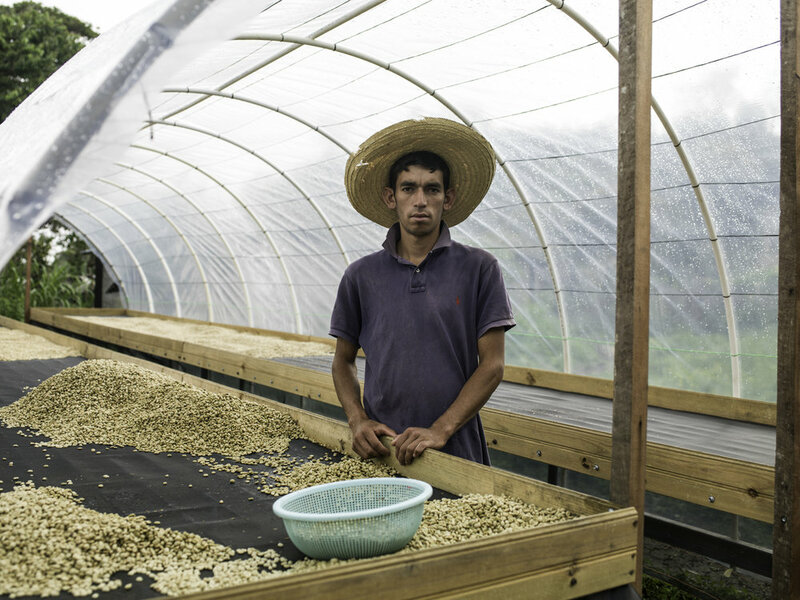 The unions are the ones that actually sell the coffee, on behalf of the coop, on behalf of the farmer. But the unions are not selling coffee yet. 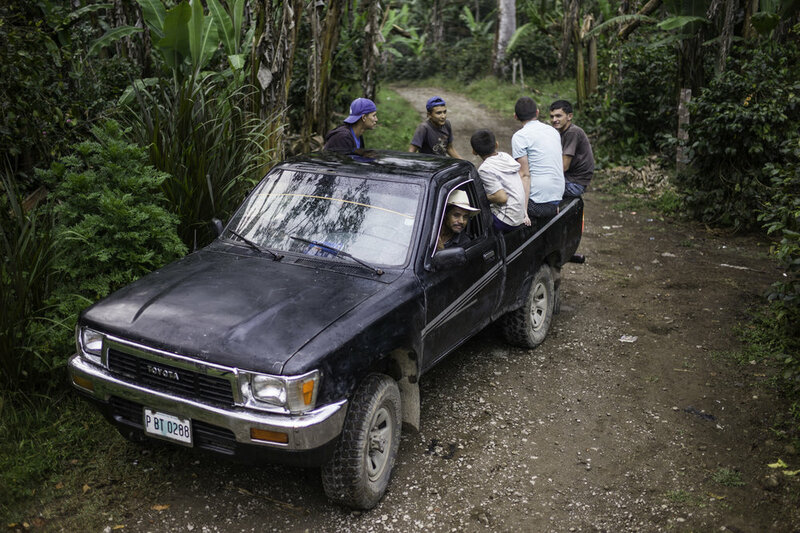 The harvest has barely started, and for the specialty coffee they want to see how the market is going before they commit to establishing prices. Then there are the exporters. So we met with them too. 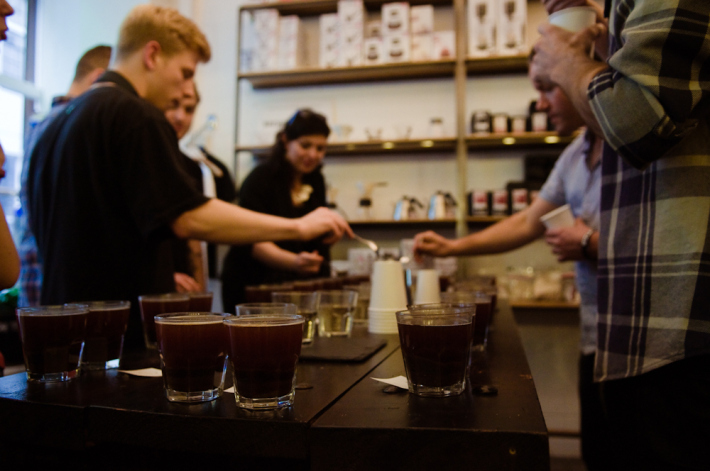 Who is the most knowledgeable, who has got the best people on the ground, who has got the best set up for processing the coffee and who is most trustworthy? Work in Ethiopia, is like everywhere else: it's work with people. Yet the “system” wants to alienate us from each other. We don’t want that. We want to work with people we know, people we have met, simply people we like! Now we have met many of them again, and we are all preparing for a new season. We spent time visiting farms and cooperatives in the Kaffa and Illubabor regions in the west, accompanied by the good people of Technoserve (TNS). 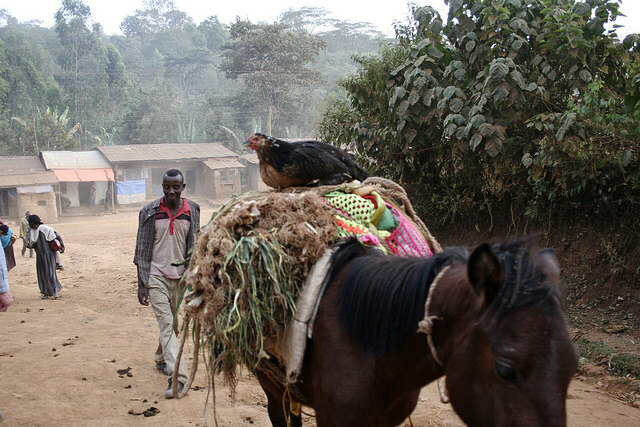 TNS has been involved with helping coops in this part of Ethiopia since 2009, in bettering their farming practices, improving the processing, solidifying the management and teaching about how to assess the quality of their coffee. How much is the value of a special coffee? Finally Technoserve is facilitating finding a marketplace for their special coffees. The results are sometimes remarkable. We owe them our gratitude, so do the farmers involved. Then we went south, to the regions we all know, to Sidama and Yirgacheffe. Again with high hopes and anticipation. If Ethiopia is the mother, Yirgacheffe is the fairest of her daughters. The scenery is lusher, the houses are neater, the people are different – and so is the coffee. Here they still practice the traditional fermentation and washing process – at least for now. As of last year, Technoserve is also getting involved down there. That means installing Eco Pulpers and other more or less dramatic changes: helping farmers with book keeping; assisting in coop management and so on. But with the coffees from here they will not get involved with marketing, finding buyers or assisting with sales. That is curious. After all, the quality improvements seen out west come from the interaction between the maker and the market. And at this origin, we all need all the facilitation and help we can get! Enough has been said about the ECX (Ethiopia Commodity Exchange) working in the opposite direction of what the whole specialty coffee community is craving. We want transparency and to build relationships: the systems calls for the opposite. Fine. So how do we get around it? In the west we are working directly with the coops, using the second window. 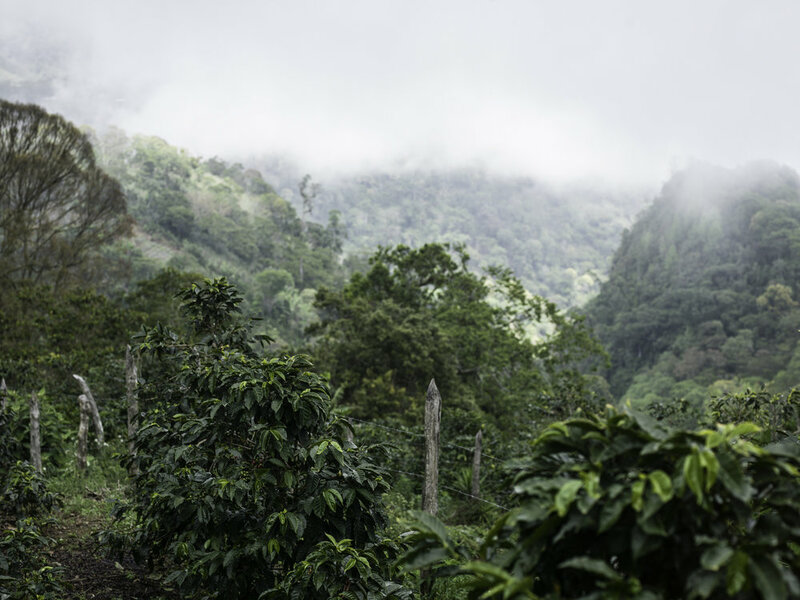 We choose to work with the partners from whom we have bought stellar coffees, but we are constantly looking to broaden our horizons with new relationships. 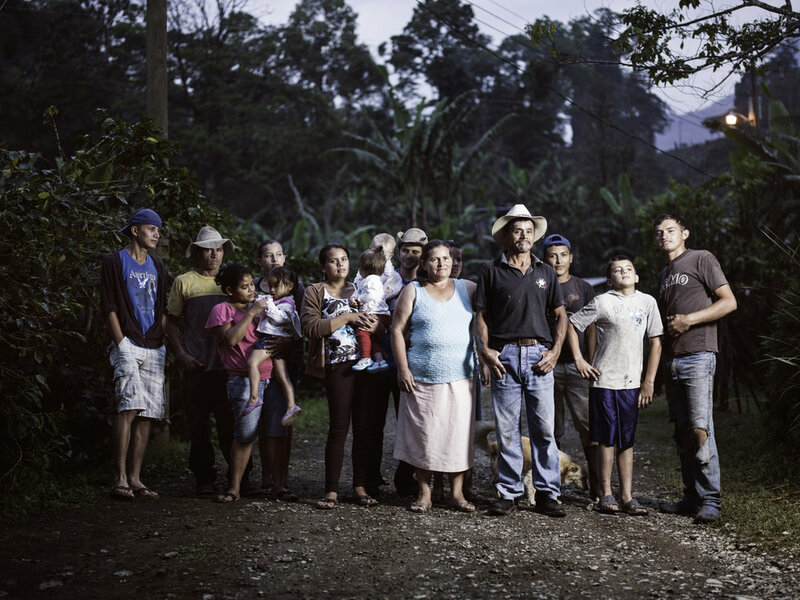 In the west we work with the TNS assisted cooperatives. These coffees are processed by and marketed/sold by the Oromia Union. There is no way around that. In the south we will work with a different strategy. The second window allows for direct buying from privately owned farms and processing stations. We’ll be looking for traditionally processed washed coffees and meticulously processed naturals, and we’ll make sure the coffee is further dry processed (dry milled) and screened (selected) by the best people in Addis Ababa. A detailed list of farms and coops visited will follow. Then we’ll go in depth about the stats, the peeps, the outlook and challenges at each place. 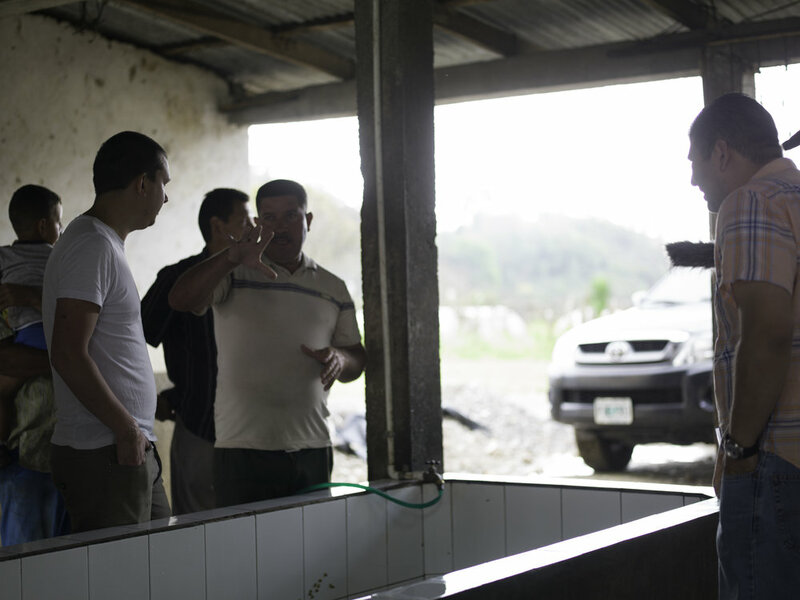 It should go without saying that we are soon to follow up on the actual picking, and we will be cupping and assessing the lots as the harvest proceeds. For now, please see pictures and notes from the places visited over the past couple of weeks.